Did I catch your attention? I guess I did if you are reading this. Just to be clear, I don’t hate integers — I hate using integers (a.k.a. signed numbers) where they don’t make sense. For example let’s take the standard intrinsic routine called Length (in System unit). It returns the length of an array (or string) in format of a signed 32-bit integer. While I doubt anyone will use 2 gigs of memory for an array, this still breaks the prettyness of the code. Almost all routines that need an unsigned integer still require a signed one. And this is not limited only to Delphi — most of the .NET libraries use “int” when they should use “uint” (I’m not even going to mention Java here! Last time I checked there was no concept of “unsigned” in it). What will this program write on the console? I bet you though it would be: “Str1 = AA” and “Str2 = “. Think again, but this time harder. I pass 0 as the ACount parameter to the MakeString function. I use a Cardinal data type for my FOR loop. I start at 0 and go to ACount – 1. ACount being 0, the upper bound of the FOR loop becomes (0 – 1) =4294967295. The FOR loop continues for a lot of iterations. If I were an Integer the loop would have worked flawlessly. I think you should hate cardinals, and compilers that don’t check the bounds of integer types. cardinal (and uint) were introduced when 16 bits integer were too short for some common uses. In a 32 bits (and 64 bits) world, there is no reason to add all this trouble for 1 more bit. I use exclusively use signed ints, and implement checks via asserts, if x<0 then, or x=max(0,x) where I need to make sure ints are positive. Same here, I prefer to use unsigned numbers wherever possible/adequate. Both cases boil down to optimization. Maybe you can use something like “type TPosInt = 0..maxint;” to have range checking without introducing unexpected problems. I tried the same quest a while back and failed for the same reasons. It just isn’t worth the grief. In fact, if you try to remove all the warnings from your code, it can be a real nightmare. If you need the extra range, it is frequently easier to just use int64. And btw, since Delphi is intimately tied to 32 bit windows, you never need to worry about using a data structure larger than 2gb -> It can’t happen. Once we all move to 64bit OSes, it may eventually be more of an issue, but probably not for a good many years (63 bits of address space is a **LOT** of ram). @Giel – Range checking? Who runs with range checking? I think you could break most apps (components and the VCL) just by turning it on. > Who runs with range checking? A programmer who takes pre/postconditions seriously perhaps? If function parameters and results have suitable ranges you don’t have to add asserts for that. And, of course, many CPUs are optimized for signed integers, and your code will run slightly faster with integers than with cardinals and words. Just think back to a time where 2Gb was a HUGE file. Think of how many lazy programmers were caught off guard when HDD sizes crossed that magic boundary and you were told that there wasn’t enough space available on your drive when you had 3.5 Gb free space. YOU HAD TO CREATE A FILE OF 2 GB IN SIZE TO GET THE AVAILABLE DISK SPACE DOWN BELOW 2 GB JUST BECAUSE A PROGRAMMER WAS LAZY AND USED “int” INSTEAD OF “unsiged int”. This works exactly the same way for sl.Count = 0 as your approach, but has the added benefit of restricting the need to Pred() to the upper limit of the loop. Otherwise you have to remember to Pred() every reference to the loop counter variable, which is less efficient and just additional opportunities to forget. You’re looking at it from the wrong side, the result of a function is not (and never was) intended to be limited to the possible ranges of a result value, it’s always a greater container (and thankfully so, I can’t even begin to think of mess we would be in if result values of all functions were constrained to the strictest datatype that could hold its result). 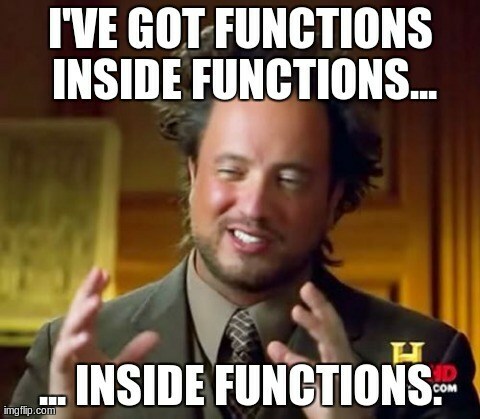 No, the result of a function is intended to be… *used*. gulp. And it’s a bit like in the non programming world out there: negative values were invented for a good mathematical reason, and they make sense even when the real-world possible “results” are only strictly positive. >USED “int” INSTEAD OF “unsiged int”. It makes all the sense in the world because that number is one number you’re bound to use in arithmetics (subtract to or from it, compare, etc. ), and it makes no sense to do arithmetic on unsigned numbers (unless you enjoy aiming loaded guns at feet). So better be clean and pass an integer value you can do arithmetic on, than one involving an unsafe conversion or an optional step to a higher precision representation (which if not done, would result in a gun at foot). You are trying to impose the underlying limitations of the compiler/CPU upon the programmer’s logical thinking, which is not the way to do things. The compiler should be at the service of the programmer, not the other way around. There has been numerous occasions in the past where a simple word – “unsigned” – would had meant that that problem had been non-existing. Yes – the problem returned again at a later date, but my point is that – at the time – there was no compiler (for the PC) who HAD a 64bit integer (signed OR unsigned), so that issue could only have been solved at that time by using the COMP type (80-bit “floating point integer” of the FPU, which didn’t necessarily exist in the CPUs at the time), whereas a simple “unsigned” already WAS available in the compilers at the time, and so there was no excuse for the laziness of the programmer to use signed integers as the return types for such functions. Restricting the possible return values of a function to allow values that can NEVER be returned is ILLOGICAL – plain and simple. And it turns the problems upside down with respect to the human/computer interface. The programmer should not be thinking about issues like these – that’s the compiler’s job. If the compiler was smart enough to recognize this flaw, then the problem would be smaller, but it isn’t, and this is a good example of the compiler/CPU enforcing its view on the world on the programmer, which it never should (in an ideal world), or at least should stay away from as much as possible. > aiming loaded guns at feet). This is a perfect example of a (simplistic) function where negative values should never come into play, since there’s NEVER a possibility of ANY of the values to become negative, and NEVER a possibility of DiskFree being bigger than DiskSize. Once again, negative values has nothing whatsoever to do here, as they can never come into play. For me, unsigned integers “simply make sense” ™. Of course you must take care if you want to use them in any algorithm. I had problems starting with quick sort, binary search to any loop. And yes, turning on the range checking would help a lot … but who does that? If I know a number is positive, it will be declared as a word; if I know it will only count to e.g. 100, it will be declared as a byte. That way, if I make a mistake, I have the compiler alert me to it. The only concession here, which bites (bytes?) me occasionally is the empty for loop. But these usually are local and short-lived variables, so declaring these as int is no big deal. I think using exclusively signed integers makes program shorter and faster. Because it does not need some ifs and mixing signed and unsigned types when comparing and calculating. Yes, you are right. In some cases integers are a better choice, though if the whole class structure is designed properly there are not many IFs anyway.